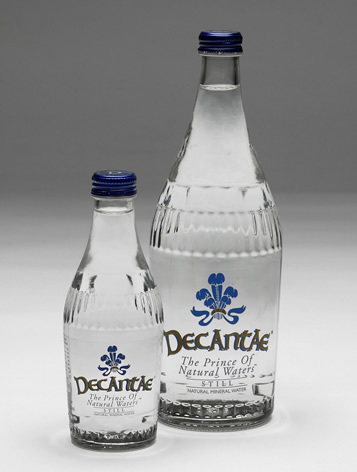 Decantae specialises in creating custom printed labelled bottled water for individuals, companies and organisations in our glass bottle range. 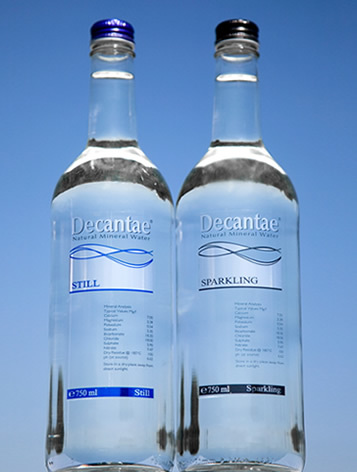 All glass is produced for Decantae uses 75% of recycled Glass. 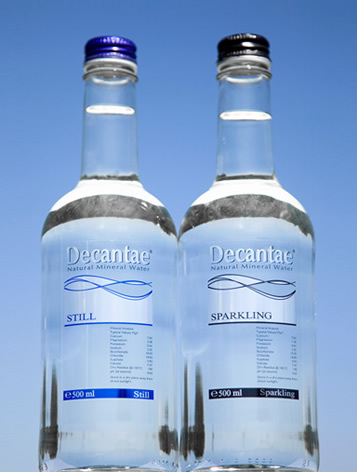 Decantae products are all supplied in 100 % recycled cases. 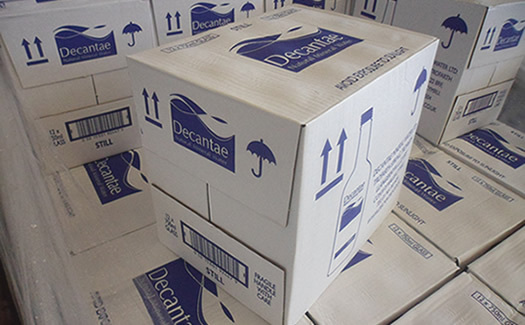 Decantae cases are therefore 100% recyclable. Cases are much safer to transport in hotels and stack better. 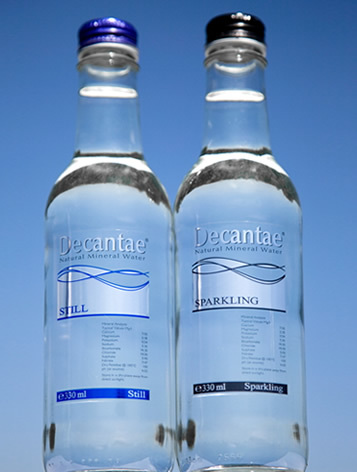 Case give a far superior handing and safety over shrink wrap used by all other water manufactures. 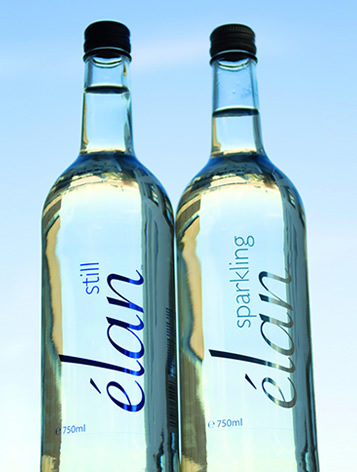 All other water manufacture use shrink wrap instead of cases due to cost saving. Most Shrink Wrap used is none recyclable and therefore has to go to land fill. It is estimated only 5% of plastic shrink wrap is recovered in the UK. 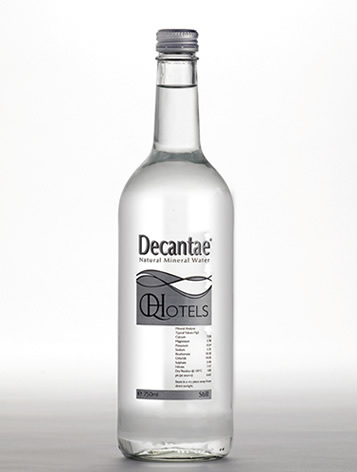 Decantae is part of the Valpak Scheme of recycling to return recycled glass back to the manufacture.